Hi Jake — Please tell us about yourself: where you’re from, what you do. I grew up in New York very much in love with sneakers, streetwear, hip-hop & drinking 40s in the park… the usual stuff. While living in Yonkers I met a Jersey Girl, fell in love, moved across the river and got married. New Jersey is now my home and I do marketing for a fortune 500 company. You run the @TeamReebok1895 Instagram page: that’s a serious number of followers. How and when did you start it? When Instagram first launched the DM feature, myself and 15 other guys started communicating with each other about Reebok. This continued for awhile but after far too many DM’s we decided to create a page where we could post info and deals from around the web. March of 2014 was when TR1895 officially launched. I am in charge of posting content but TR1895 wouldn’t be what it is today without the OG16. Outside of the page we all still exchange DM’s daily with exclusive content. Do you find it takes up much of your time? It is very time consuming but when you love something it never feels like work. In my opinion, the most important aspect of a good IG page is consistent, engaging content. Daily features of our following is also huge as I would like to think we are all one big team. Lastly, the fine art of the hashtag always helps direct traffic to our handle. And can you tell us about OG16? The OG16 refers to the original 16 members who helped create TR1895. Instagram allows a sender to only include 15 recipients in a DM. This is how we landed on 16 as the magic number. 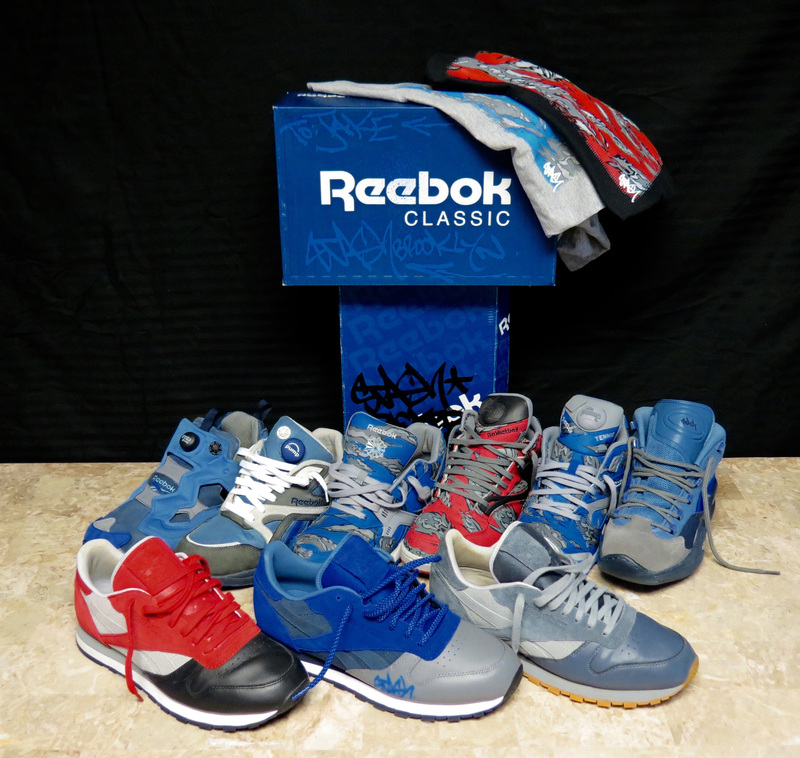 We are a crew of some of the strongest Reebok collectors in the world. From New Jersey to Canada, Germany to Singapore, Australia to California…OG16 is global and we are taking over. What’s cool is that we all have different tastes. Some love Pumps, others love Questions, and than we have Runner guys. I would like to urge anyone reading this to check out the 16 profiles that TR1895 currently follows on IG. You won’t be disappointed. 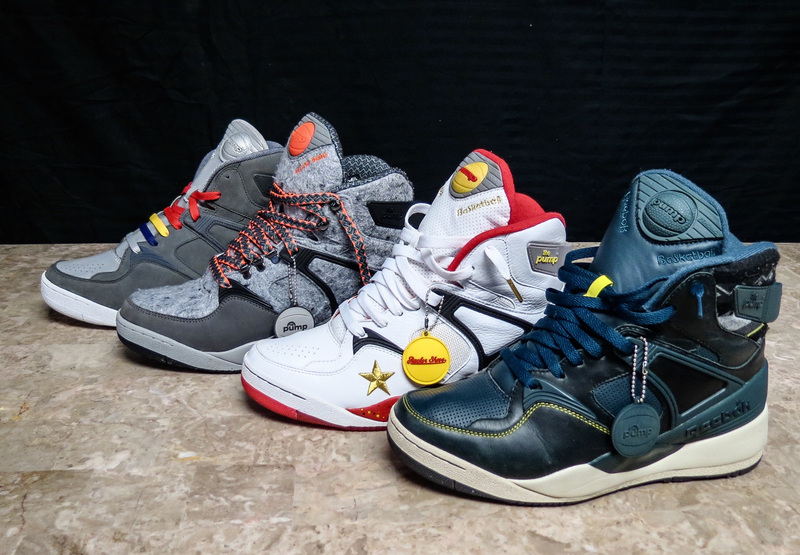 Does the OG16 happen to include DJ Senatore (the guy with the legendary Pump collection)? 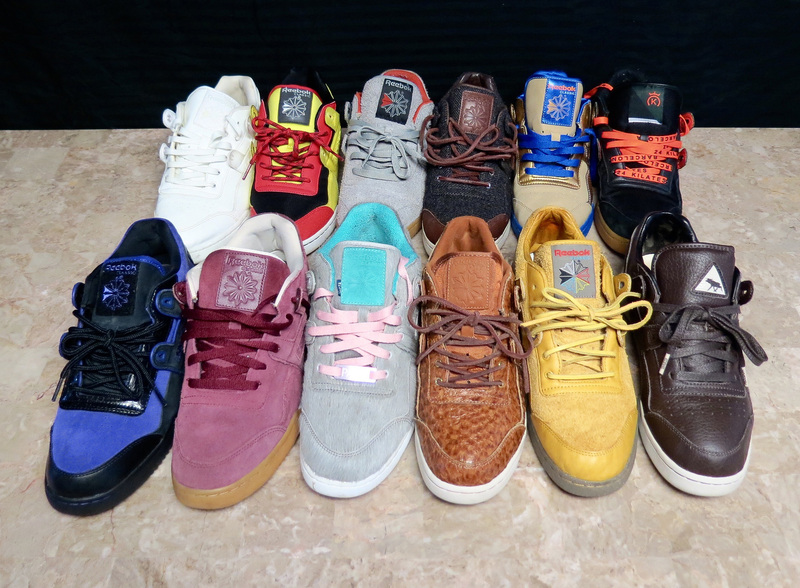 Your personal Reebok collection looks damn impressive – many limited collabs in there. Let’s start with the Pumps – which are your favourite Pump shoes? My favorite Reebok model of all time is The Pump (Bringback.) I am a fan of all Pump models but there is nothing better than the original. Funny thing about me is I only collect collabs. There is just something about Reebok allowing an outside designer to create their own spin that really intrigues me. That’s a pretty unique angle — I’m always happy to hear when sneakerheads do their own thing. And what about favourite collabs/colourways? Packer Shoes is my favorite collaborator. Their ability to pull history and heritage into a new colorway is truly amazing. There is no doubt that their Pump 20 “Nique” is the pinnacle of my collection. I spent 5 long years attempting to track down 1 of the 31 pairs in existence. How many of the Pump 20’s and 25’s have you managed to lock down? 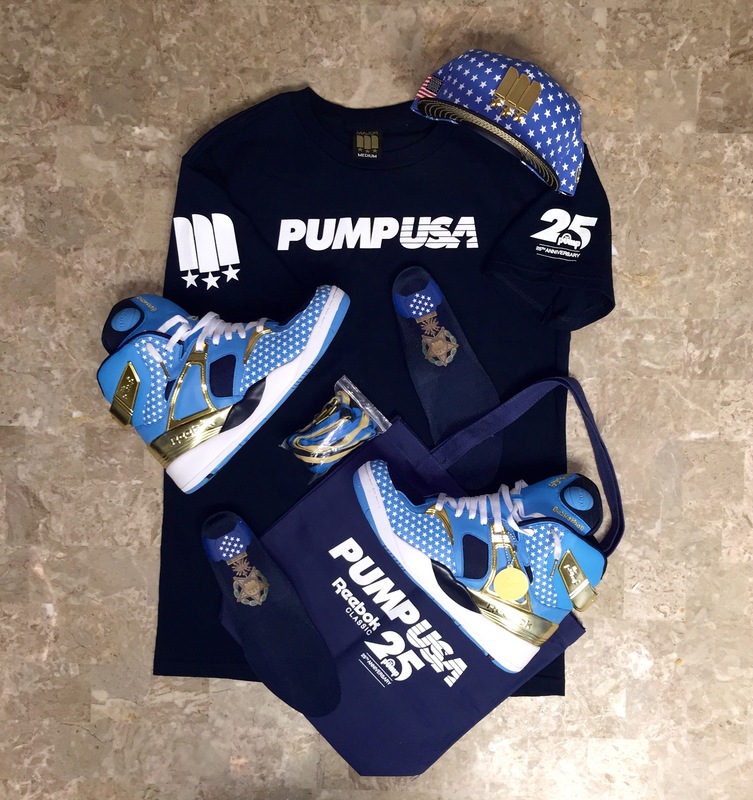 So far I have managed to pick up 15 pairs of the Pump 25 collection. There actually were only 22 collabs manufactured so I have 7 more to go. Pump 20 is a completely different animal and a very steep mountain to climb. I am proud to say that I own 4 pairs but I am on a mission to attain all 20. PS…I hate you Deeboks lol. Haha. One of the more interesting makeups I spotted recently was the Major DC Pump in Gold and Blue – and I just noticed them in your collection. What do you make of those? I love the way they photograph, but on the feet? — that’s a bold shoe! The best part about that shoe is the design was inspired by the US Congressional Medal of Honor. That is not something that is given away on a regular basis. It’s a very special award for a very special person. I loved them from jump but if you do a quick google image search of that medal you will instantly see what they did there…and that makes them so much better. I had attained this pair from a 3rd party but contacted Major about the matching shirt/bag/hat and they were happy to help me out. Shout out to Jamie and the whole crew at Major! Looks like they have a mesh toebox and elements on the upper – does it improve flexibility or weight much? Any sort of breathable/flexible material helps out with The Pump. It is a very big and heavy shoe so when thick premium materials are used it only increases the weight. Major did a great job with materials. You also have a huge number of the Workout Plus 25th anniversarys, I had to remind myself of the collabs there but wow! Which are your favourites of those? Now that was such a slept-on launch. One thing that also did not help was that Reebok released all 15 pairs on the same day. I only need three more pairs to complete the set and am actively searching for them. Solebox probably had the most unique pair, using the fish leather and the $400 price tag but I have to go with Packer Shoes as my favorite. Although not advertised, the maroon colorway is just a simple play on their logo and the gum sole just took it to another level. Yeah, iirc it was still pretty early days for Reebok Classics’ collabs – 2012 doesn’t seem a long time ago, yet we’ve come a long, long way in a very short time. And – I hate to ask this – but did you miss any for your collection? So next onto your Stash shoes – again that’s one hell of a collection, I notice quite a few signatures there! Seems like you’ve met the guy a few times now? Growing up in NY, Stash was a legend. When Packer Shoes announced his first Reebok collab with them (Graphlite Pump) I was excited. I had the honor of meeting him for that launch and than again for the Pump Fury release. Stash is super cool and really down to earth. I was disappointed that I couldn’t make it to his Extra Butter appearance but I had a prior engagement that night. 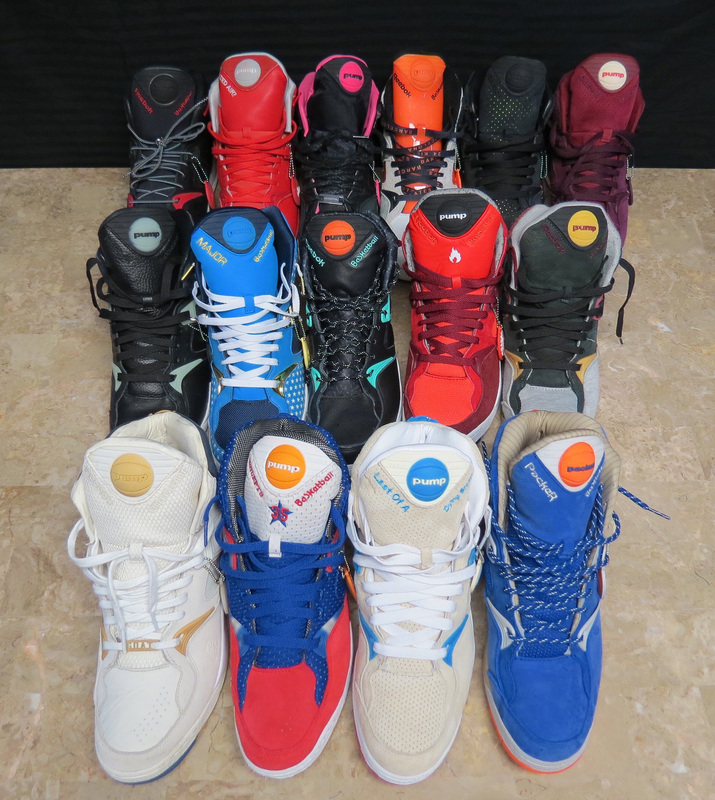 So far I’ve managed to attain almost all his Reebok’s…still need a few Pumps and the Red Questions. But they will eventually all be mine. I don’t doubt it! 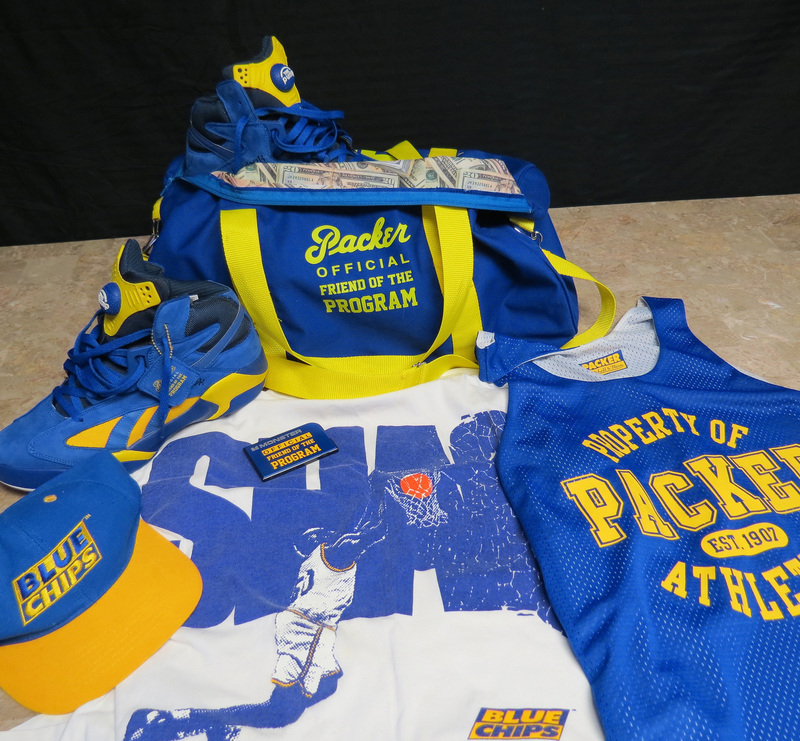 And Extra Butter, you’ve picked up some pretty lush looking merchandise as well as the shoes. The OXT ‘Sheriff’ is one of the boldest makeups of any Reebok to date – you love ’em? 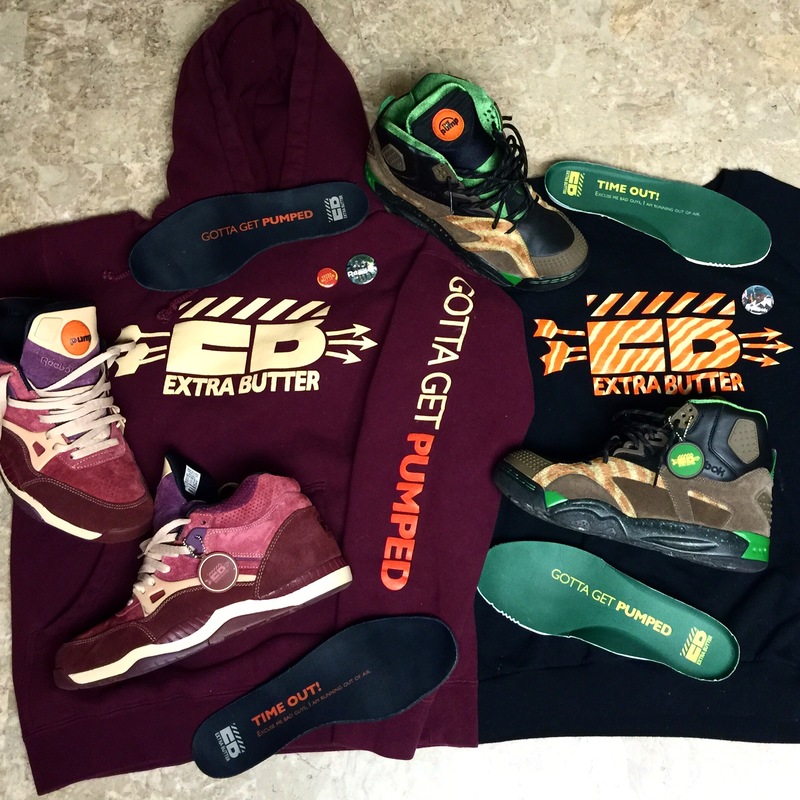 Extra Butter is just a dope movement. Their collabs always tell a story and the colorway comes from that story. I love stuff like that. The first Extra Butter location is on Long Island and that was close to the vest for me as I spent 10 years living out there. I do love the OXT as it is not your traditional Pump. It is built for outdoor activities so Jay and the Extra Butter Team really captured the model’s original intentions with the “Sheriff” colorway. Additional merch that goes along with a shoe has always been a weakness for me. 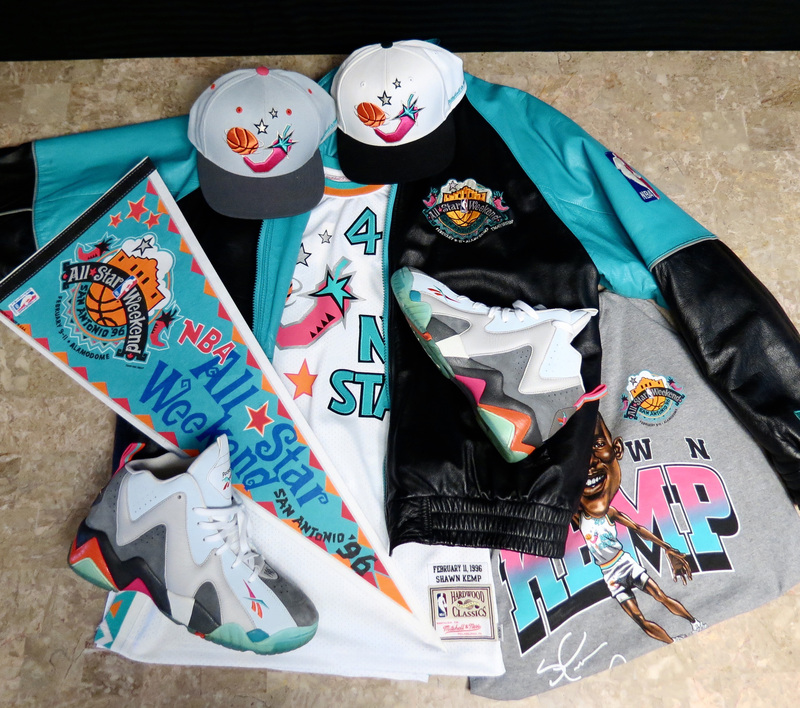 Whether it’s a hat, shirt, jersey or hoody, I need to have it. Again…OCD kicking in lol. And do you wear all your kicks, or deliberately keep any of them BNIB? I wear everything. Shoes are meant to be worn. You only live once so what is the point of keeping them in a box? 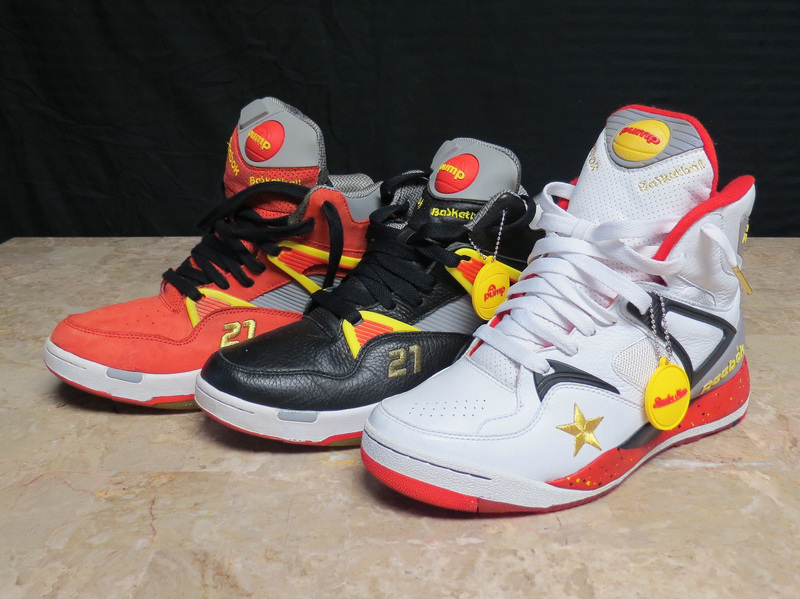 I think I have maybe two pairs of DS Reeboks and that is only because I haven’t gotten around to them yet. Wear your shoes people. Couldn’t agree more. Now, me being from the UK my knowledge of Reebok Questions is minimal to say the least ; I see you have a few of those, it looks like a comfortable shoe? I think I own Questions by default as it is an important piece of Reebok’s history and a lot of collaborators enjoy working with them. I actually don’t find the shoe very comfortable and prefer Pumps. A few of our OG16 members are obsessed with Questions and primarily only buy them. I would like to think that TR1895 has a 3-Headed Question King in the form of JayEnvy, DreStateofMind & Different_Breed1. Follow those guys if you love Questions. Were you ever tempted with the Answer 1’s? As a ’97 shoe maybe — like Retrobok — you have to draw the line somewhere? I have to say I’ve never liked the look of those, but I’ve not much knowledge about them – do they even class as a ‘retrobok’? Straighten me up! Thanks. So, anything else from your collection you want to talk about? 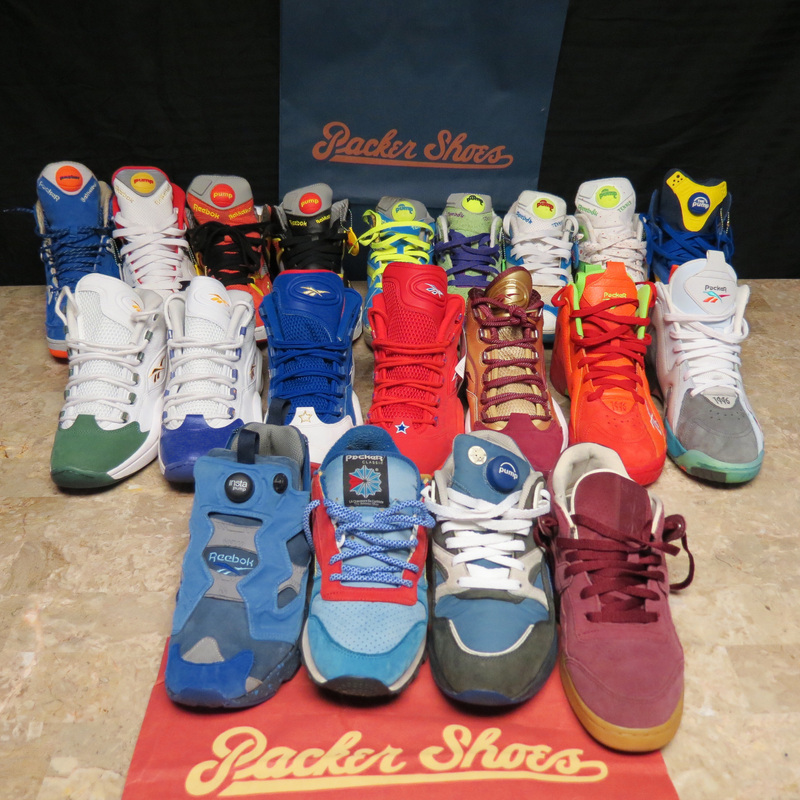 Well I think it is safe to say that I am a huge fan of Packer Shoes but not only because of their Reebok collabs, it’s also due to living 15 minutes away from their store here in New Jersey. I am a big fan of supporting local business. If you live in London, shop at Footpatrol. If you’re from Louisiana, please support Sneaker Politics. If you hail from Sweden, go out and show SNS some love. I own every Packer Shoes x Reebok collab that has ever been launched and that is the part of my collection I am most proud of. Always support the home team. Loving your loyalty Jake, and how are you feeling about 2015 from the Reebok Classics brand point of view? They’ve had a couple of amazing years, do you think it can continue? Reebok will be unleashing a fury of Ventilator collabs all throughout 2015. This will be huge for the brand as runners are insanely popular right now. Along with The Ventilators, I’m sure we will be treated to many other surprises. I am confident that we’ll all be very happy with what this year has to bring. I also believe that if TR1895 was to be given a chance at a collab, we would knock it out of the park. Sometimes the people knows what is best for the people. Perhaps Reebok Classics are listening 😉 Finally, anything else you care to share? As TR1895 approaches our 1 year anniversary we just like to say THANK YOU to everyone that has shown us support. In this new year we will continue to bring all the best Reebok content. Our creative juices will be flowing and special OG16 campaigns are on the way. We also look forward to working with The Certified Network on even more exclusive features. We believe in the brand, we believe in ourselves and we will not lose! Thank you Retrobok for this opportunity and thank you for always being Classic. You can follow TeamReebok1895 by clicking the logo at the bottom of the page. Posted on January 28, 2015, in Features, Newsfeed and tagged collectors feature, instagram, jake montana, reebok collector, Retrobok, teamreebok1895, tr1895. Bookmark the permalink. Comments Off on Collectors Feature #4 — Jake Montana.